I have bought a 1979 610 long tractor. It had been sitting for about 5 years, it spins over, sounds like it is trying to start but wont. I have tried ether and it started for a few minutes then it died, now it wont start even with the ether. It tries to start but wont. Please help. After sitting for 5 yrs, it could be some stuck rings, killing your compression or corroded and or stopped up injectors. If it ran then quit l would be inclined to check the lift pump and filters. It could be that the lift pump is not getting fuel to the injector pump. On my little Massey, I got some bad fuel that had water in it. it plugged the filter. i go t a new filter and got it running after i drained all of the fuel and put in clean fuel. once you have the lift pump and filters working, bleed the injector lines. Do this by cracking the lines at the injector, turn over the motor until you get clear fuel with no bubbles. Then tighten up the fuel line nuts. A month ago I bought a 610 that had been sitting the about the same amount of time. 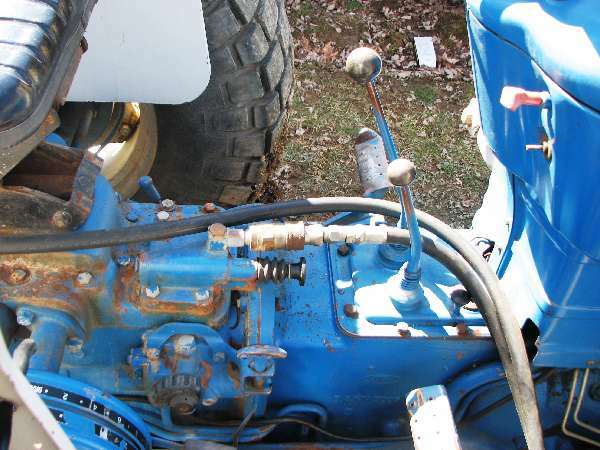 I changed the fuel filters, the lift pump has to be in the right spot on the crank to use the manual pump arm. I had to open the injector lines and use a rag soaked in gas over the air inlet and let it run on that to bleed the injectors.